These two animals know each other from their earliest age and it is no surprise how they get along so well. 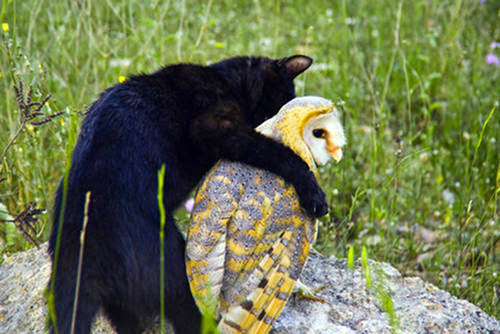 The cat is a little bit naughtier of course but the owl accepts every challenge. There are some really amazing shots in this footage.